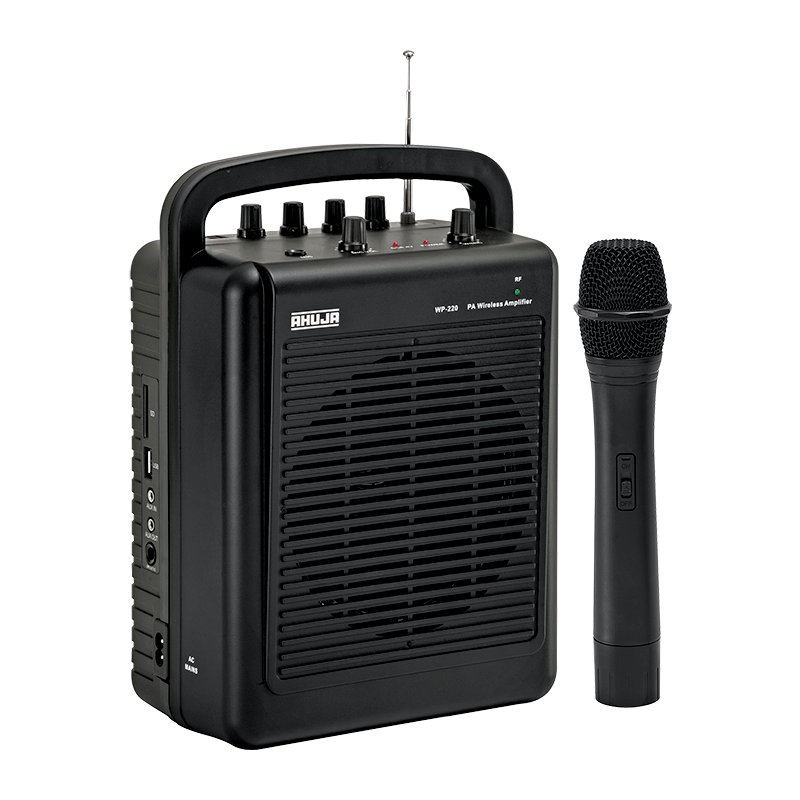 Supplied with Handheld wireless microphone model WM-22, and is available in different frequencies. Built-in digital MP3 player and recorder. Provision for connecting one wired microphone & an AUX source like a CD player or Mixer using 3.5mm phone jack. Tone control provided for adjusting the tone settings. Operates on AC mains, 12V external car battery & 12V 1.2Ah internal rechargeable lead acid battery. Facility for recharging a 12V 1.2Ah internal battery and 8.4V rechargeable battery for handheld transmitter. 8 Ohm speaker output for connecting an external speaker.